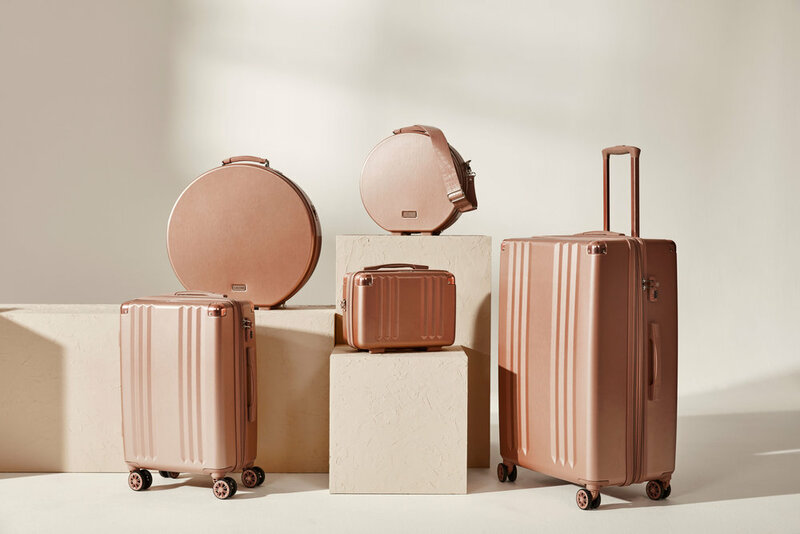 Ambeur, one of our favorite luggage collections, just got an upgrade. If you love all things shiny, trendy, and matchy-matchy, then you’ll love our NEW metallic Hatboxes and Vanity Cases! Slide the Vanity Case down over your trolley for easy travel, pack your Hatboxes for a weekend away with friends, or grab your favorite carry-on and jet off in style! Either way, we’re happy you’re bringing us along.